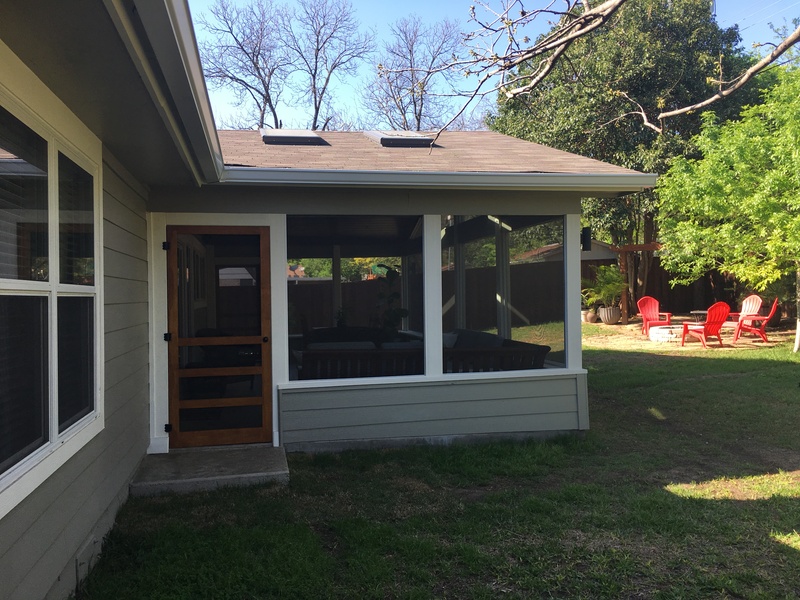 These East Central Austin homeowners proved you don’t have to have a large home to add a large outdoor living space. After purchasing this home of about 1,400 sq. ft., our clients completely renovated the home’s interior, with absolutely beautiful results. Finally, they were ready to add a multi-purpose outdoor living space. Instead of asking Archadeck of Austin to design a space that was proportional to their small home, they wanted something bigger. 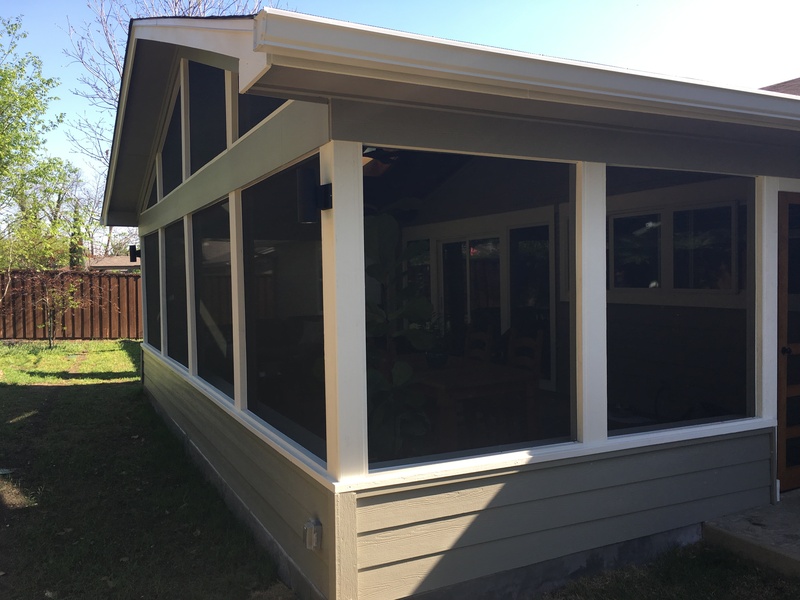 Specifically, they wanted a big, open and airy screened porch, so the one we designed for them is over 600 sq. ft. in area. If you’re doing the math, they increased the size of their usable space by almost 50%. Because of Austin’s mild climate, they truly will be able to use all of this space throughout most of the year. The homeowners do a lot of work and entertaining at home, so they needed a larger space. 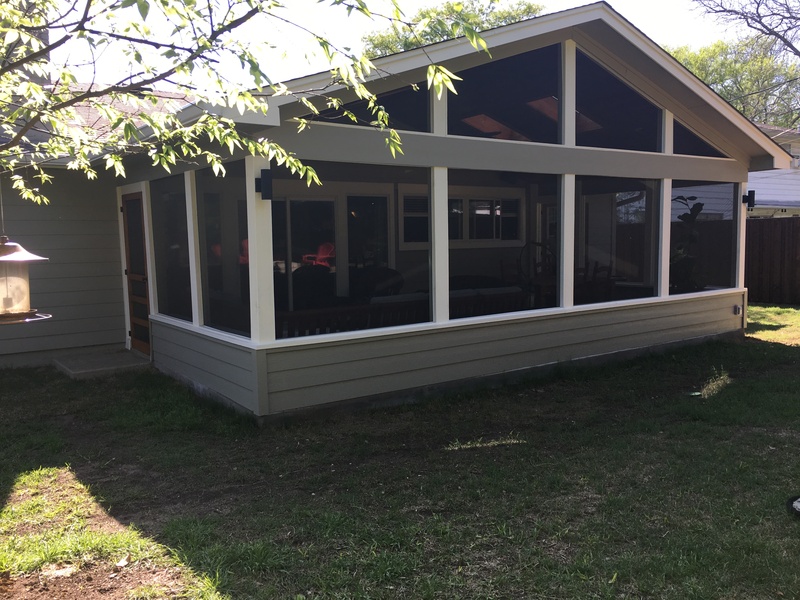 They had a second reason for building this large porch: With all of the work they had done on the home’s interior to make it beautiful, they wanted the outside to be beautiful as well. 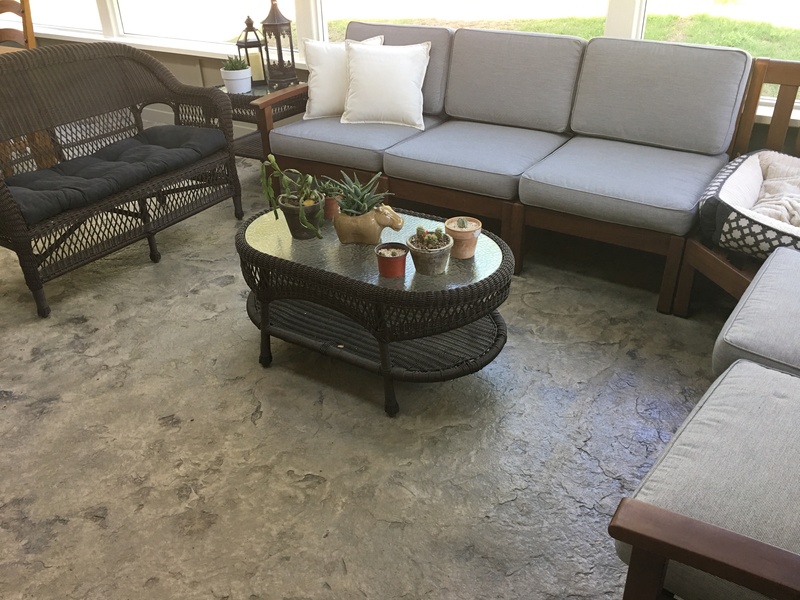 On the inside of the porch, we started with a concrete floor and added a textured concrete overlayment in a color called California Smoke, which is a gray blend. For additional contrast, we added a bit more of a darker shade. For the beautiful ceiling we used prefinished tongue-and-groove ceiling planks from Synergy Wood. Finally, we installed four skylights to bring in as much natural light as possible. The clients were aware that adding a large porch can diminish the amount of natural light received in the home’s adjoining room, so they used skylights to minimize that impact—in addition to the huge screened window openings around three sides of the porch. The clients love their expanded home! With all of the work completed now, all they have to do is enjoy it. 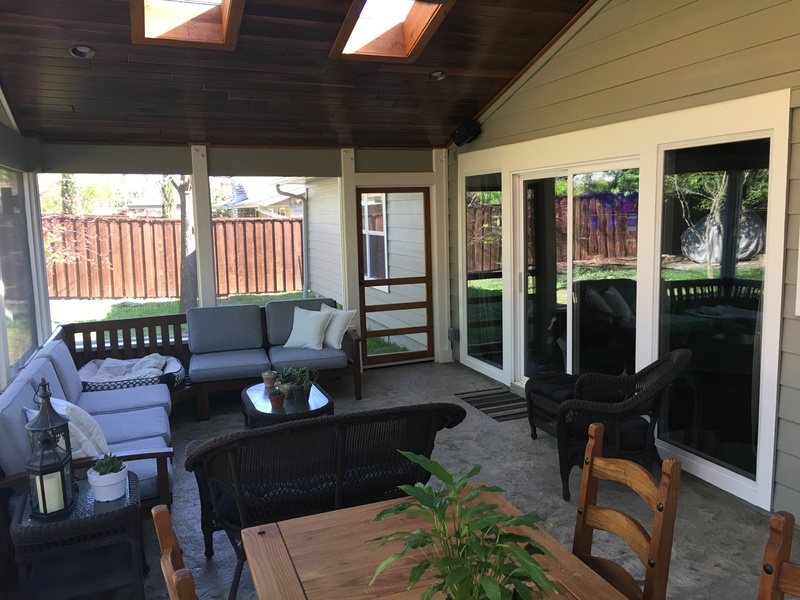 If you would like to learn more about expanding your home by creating the screened porch of dreams, contact Archadeck of Austin today at (512) 259-8282 or via email at jim.odom@archadeck.net to schedule a free design consultation. This entry was posted on May 4, 2018 by austinporchandpatio. 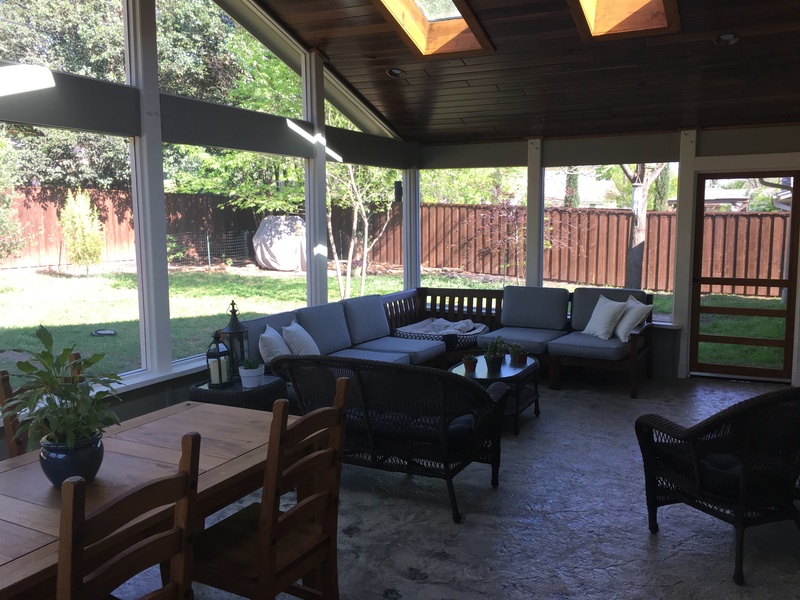 It was filed under Archadeck of Austin and was tagged with Archadeck of Austin, Austin covered patio, Austin Screened Patios, Austin screened porch builder, East Central Austin Porch Builder, SynergyPrefinished Wood For Ceilings And Walls.